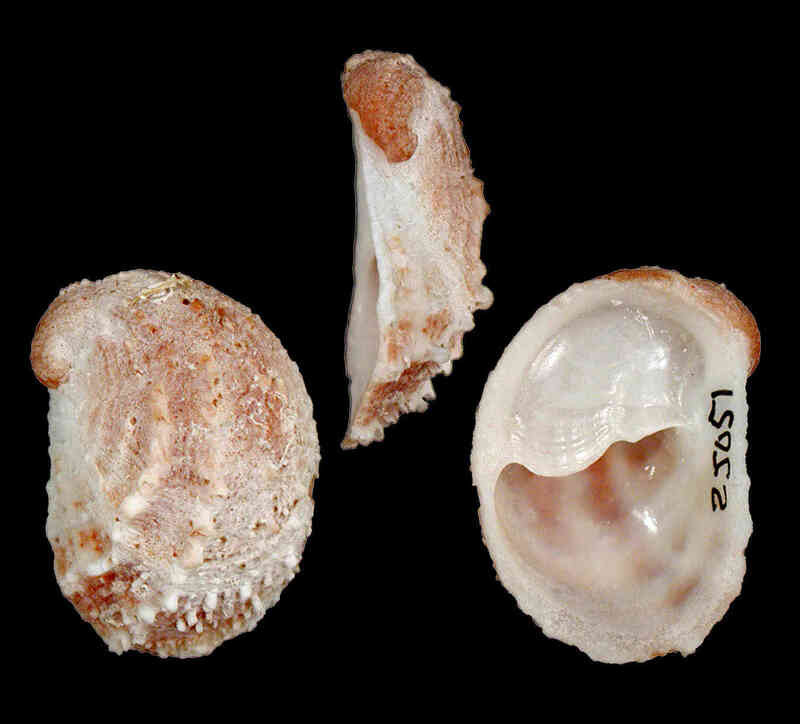 Shell size to 23 mm, sculptured with rough, small spines arranged along ribs that radiate from apex. Apex turned to one side. Interior with white platelike septum. Color white, light-gray, brownish, or rarely greenish, sometimes with rays of lighter color.